Burly Broads Present . . .
Look inside the book. <<=|•|=>> Purchase the book. Reflections on life by the river, captured in words and pictures, make this book glow with the light of the Sangamon River. Written in a year that presented life’s challenges and joys, the themes of wonder and appreciation are explored in words and pictures. In this book, Cindy shares Sue’s adventures with a breast that won’t stay gone, “something” behind the stomach that turns into colon cancer, and chemo that can’t get started. Determined to engulf the cancer with love, light, and laughter, Sue and Cindy learn the Cancer Dance and ride a wave of love and gratitude through a year that finds them celebrating the wonder of the everyday. What would you say if you could talk to a tree? And more to the point, what would the tree say to you? We have here the story of the Empress of Inertia and Aeschylus, an old, slowly vanishing oak tree. It’s a modern day ferry tale—a story about getting from there to here. 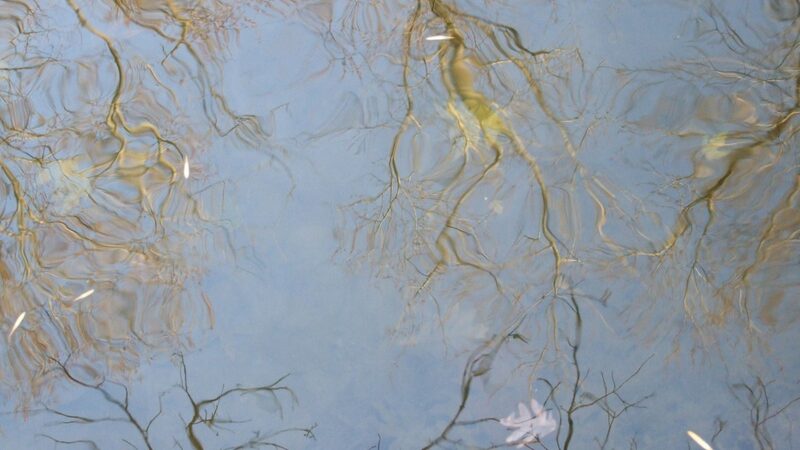 It takes place on a river, deep in the metaphorest. It’s about nothing and it’s about everything, all at once. It might make you wonder. Too bad! Chrome Cady is chock-full of quotations and we don’t know nuthin! But life is for learning, sometimes the hard way. Chrome Cady is a raunchy tale of running away to a world of watching and being watched, colored ambiguous by nonbinary gradients in which male and female intermingle. It’s a ribald romp of friendship and artwork fueled by the Power of Belief and the faith to Begin Again, with intersexed, androgynous, transgender, and other genderqueer folks leading their lives in pretty much open-hearted acceptance of the so-called gendernormal people among them. Enter a world of luminous paintings, laughing bells, and fireflies. But don’t expect to stay long: Everyone goes away. And check out those quotations! Please: If you see Cady Villanueva [McKessnor] Anderson Stroble _____, give her a hug, give her this book, and tell her to call me! 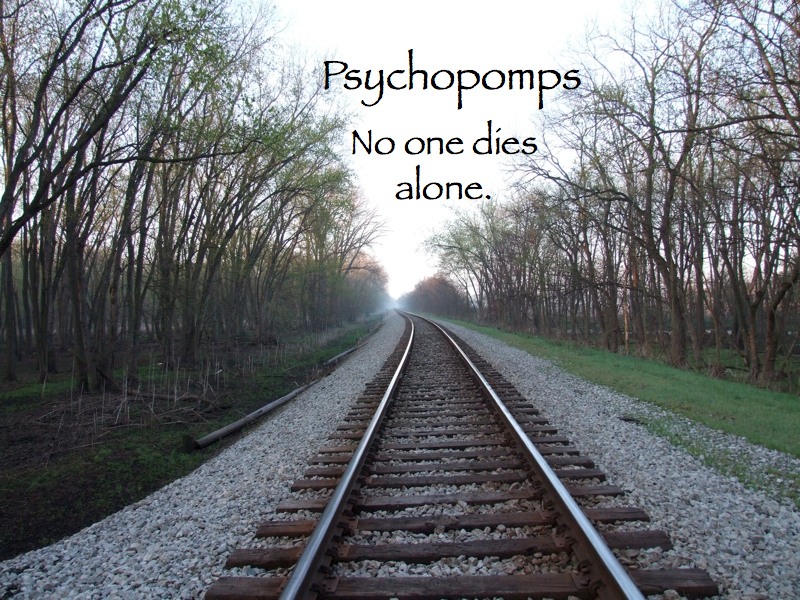 Psychopomps are End Friends: escorts to the afterlife who come to help us with the transition of death.